Where did you grow up, and what was your childhood like? Do you remember riding bikes when you were young? I remember you telling me that you got a LATE start not only in cycling but exercising in general. When did you start? And more importantly, what were you up to during all those years on non-Strava-KOM-slaying? 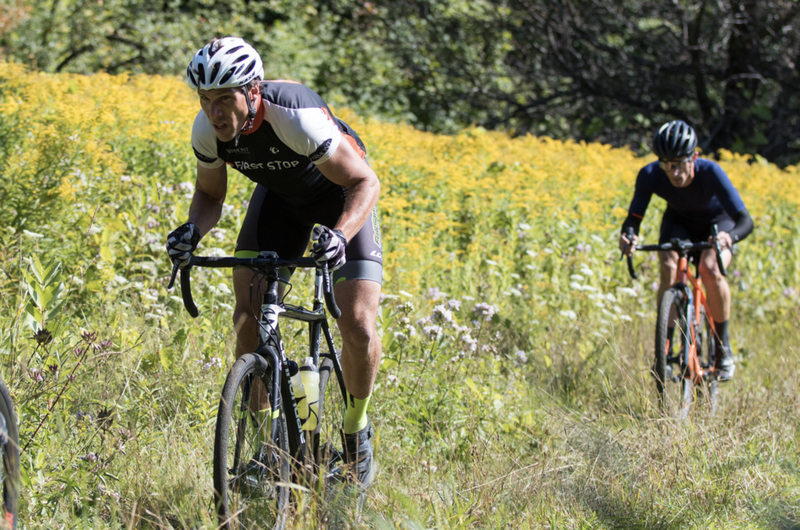 I’m sure you’ve seen first-hand the growth in gravel cycling and racing popularity. You’ve won races on every kind of bike there is. If you were to put your finger on one time or moment that you noticed the genre really start to take off, what would it be? And where do you think this is all going? I absolutely love the gravel (and mnt bike) events and vibe. 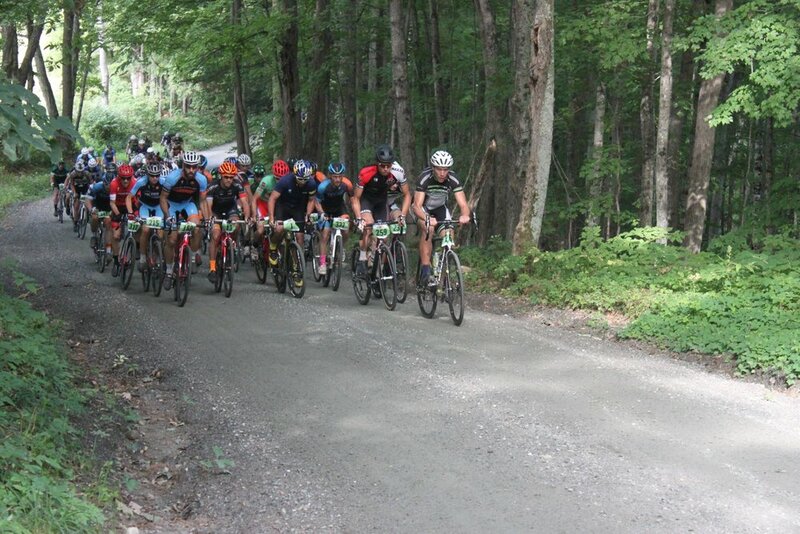 I never really enjoyed road racing all that much, except for collegiate racing where the grass-roots vibe is similar to today's gravel events. I have to take a moment to give Chris Milliman a huge shout out for introducing me and others in our local area to dirt road riding..he was organizing the UVE (upper valley epic) rides in the early 2000's where we would ride gnarly roads (swamps, trails, etc.) with our road bikes and 23cc tires....I would give him credit as a founding father of gravel (at least in our area). Back to the question, my first gravel event was the 2015 Overland and that was the ride where I realized that gravel racing/riding was getting really popular (I'm a late bloomer so I guess I was late to the gravel party). 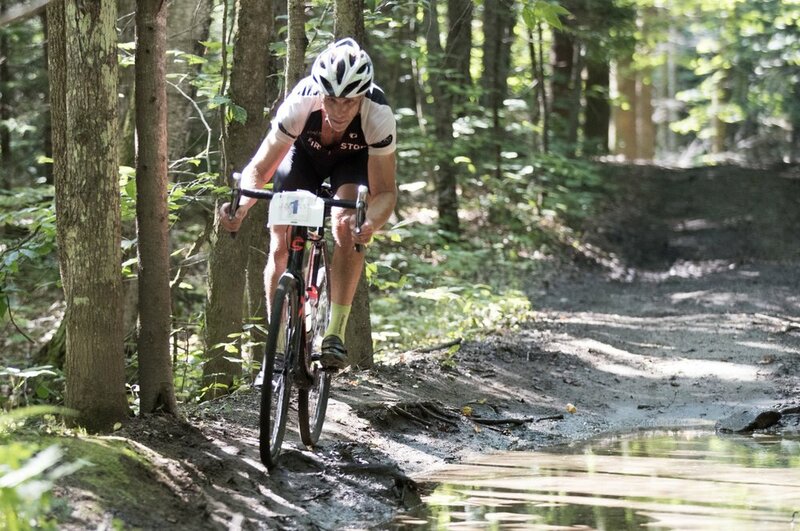 I found the convergence of road, mountain bike, and cross racers very interesting and appealing. It has quickly grown in popularity, so it is hard to tell if this will be a "boom and bust" or if there is more to come. I hope that there's more to come and that it sustains itself for the long-haul. Mike leads the group up the first climb in the 2015 Overland. Lets talk Strava. You’ve become famous from how many KOMS you own. I remember Brendan Rhim taking one from you a while back, and you went out the very next day to smash his time by 30 seconds. What is your relationship with the app? Do you think it helps motivate you to ride hard? What’s the total number of KOMS that you actually have? And if you were to pick one that you’re most proud of, what would it be? I feel like, apart from Strava, most people know you for your 2017 Overland win. Can you recap us on how that race was won? What was your mindset and training plan coming into it, and would you say that it’s your biggest race result? If it’s not, what is? The 2017 Overland win was a complete surprise to me...I recall that in 2016, I had better legs for the race, but had a flat which took me out of the lead group. I didn't feel all that great in the 2017 event, good enough to hang in the lead group , but not much more than that. My training that year was far from ideal as I had a lot of work travel that summer. I was also on vacation the week prior and got home the day before the race, with typical and less than ideal sleep the night before. I suffered the whole race until near then end where I started to feel like I had decent legs. I then saved what little energy I had until the final climb up Gully road where I tried to attack. I somehow managed to stay clear of Gaelen Kilburn, KBH, and TJ by about 10 seconds over top...I was so pumped to take the win in front of my wife and twin girls. One of my favorite moments that day is when I walked by a group of young kids during the after party and I overheard them saying "that's the guy who won...he has hairy legs...he looks like my dad and not like a bike racer"...I turned back and gave them a big grin. 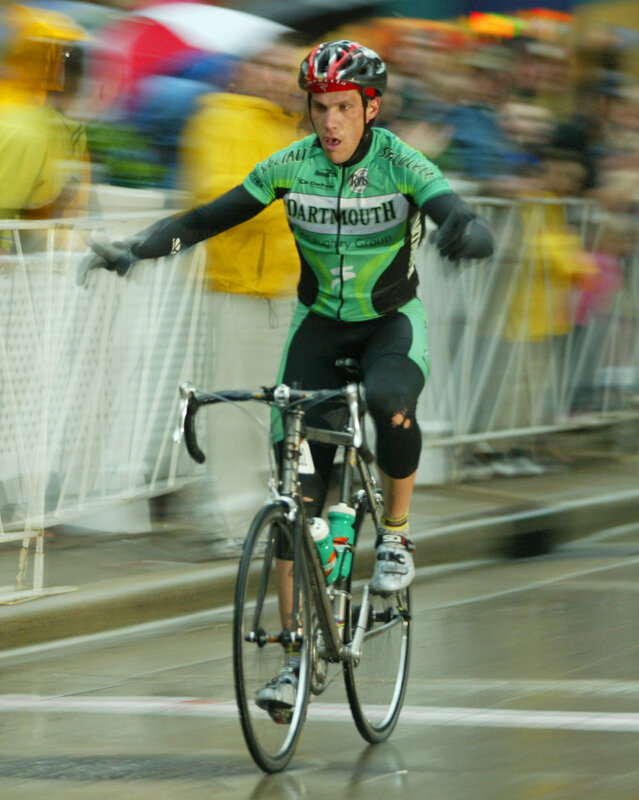 One of my favorite wins is the 2004 collegiate national road race. My teammate (Todd Yezefski) lead me out for the win and he got second...I walked away with 6 national jerseys that weekend (crit, RR, TTT, individual omnium, and team overall). 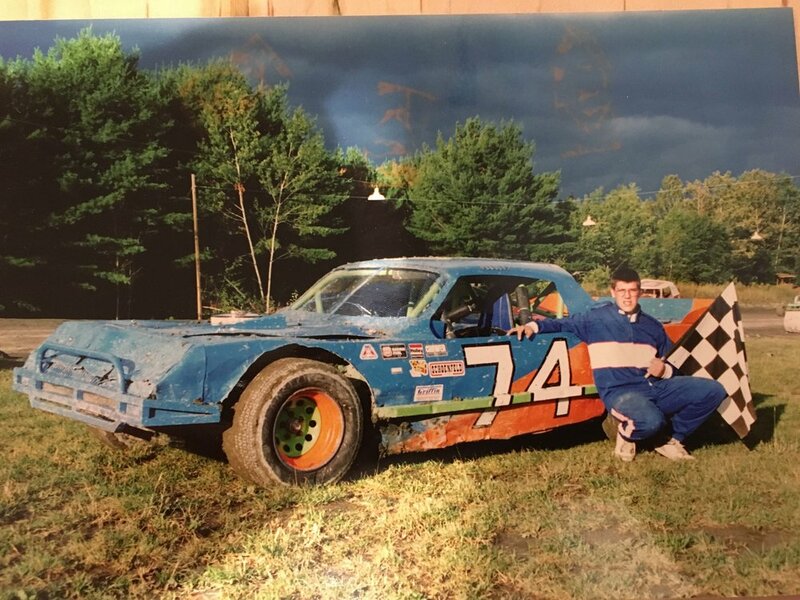 I recall a young up and coming road racer by the name of Brent Bookwalter who we battled with that weekend...pretty cool to see how far he has gone in bike racing. I have had a few other special wins over the years such as the Tour of Hilltowns, Coupes De'Americas, multiple VT50 wins, and several crits. What kind of bike do you ride and how do you have it set up for gravel? Any tips to give people in this department? Well, it's Cannondale Country in these parts:-) I ride a pretty standard set-up: SuperX with hydro discs, DI2 shifting (first one and I love it! ), hand-built Chris King / HED wheels, and 40 cc Schwable G-one tubeless. We are so blessed with great equipment options when compared to just a few years ago. I would recommend nearly any cross (or gravel specific) bike with disc brakes and tubeless tires - there are so many good stock bike options out there that it is hard to go wrong. What is your go-to race prep work out? Do you have a particular set of intervals, or route that you do habitually to get ready for an important event or race? Lets address the elephant in the room. You’re a big guy. How in the hell do you go uphill SO fast? Any secrets? OK, so I think my size is an optical illusion...in my mind, I'm a 160 lb pure-bred climber:). 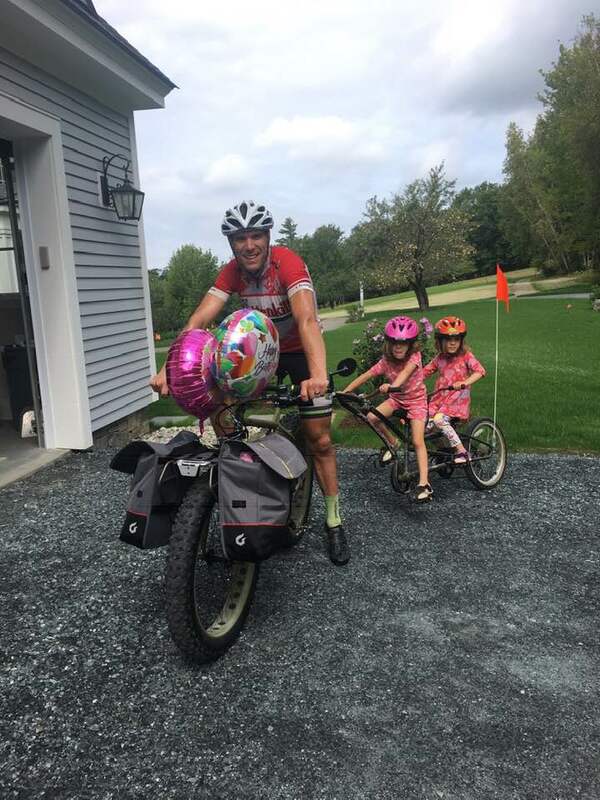 I do a lot of big-ring workouts and I have biked with my kids in the chariot for several years, racking up as much as 1300 miles with them. Here's a couple of chariot rides I did with them in the past...pulling 75 lbs, seated so that stay asleep during their nap:"
Mike’s day-to-day training set up. What is your all-time favorite cycling route? How do you stay fit in the brutally cold Vermont winters? XC skiing, and indoor riding. What are you thoughts on gravel cycling becoming more competitive? 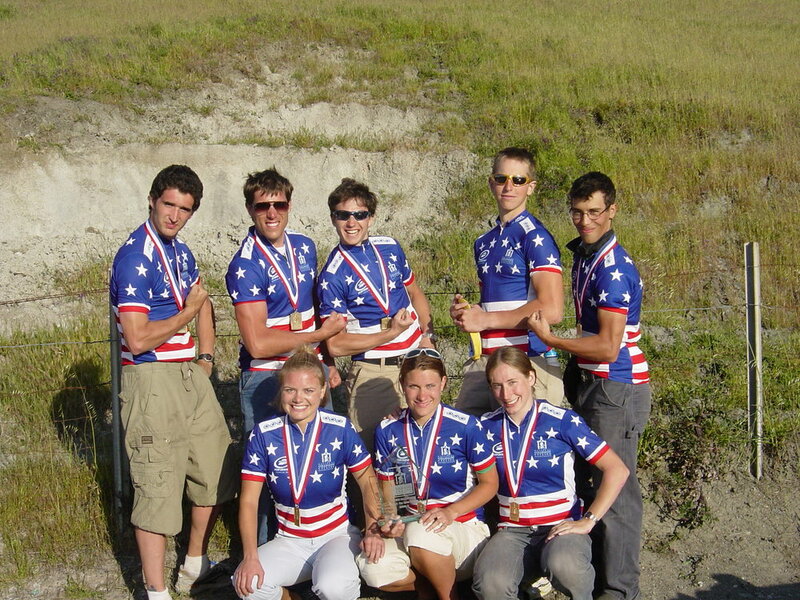 How would you feel if a full World Tour Team showed up at, say, The Overland or Dirty Kanza next year? I think it would be cool if the big teams show up to races, although I hope that doesn't happen at the expense of the camaraderie and grass-roots vibe that are typical of my favorite bike events. Let’s talk 2019. What are your goals for the upcoming season? Do you have any events in particular that you’d like to win? What is your calendar looking like? Yikes, 2019 seems like a ways out there form today...I hope to do most of the same events that I normally do...local, fun, competitive, and fun for the family. I would like to target a bigger race next year now that the kids are older. I've thought of doing the DK200, but that's a lot of commitment and travel time for an event where there's a high-chance of flatting and without the benefit of a support crew. I missed the signup date last year, so I need to get that on my calendar soon if it hasn't already passed. At 46 years old next year, I'd be pretty stoked to win any event...I'd be very happy with a podium place. If you were to pick three events (in Vermont) to encourage people to do, what would they be? I hope to help grow the sport and encourage others by attending Stowe Gravel Camp as a guest coach again and by attending the multi-day Overland event next year. What is your absolute favorite beer? To finish it off, if you were to give other gravel cyclists and adventure inclined individuals one piece of advice, what would it be? Don't be intimidated to try a new/challenging event, and don't forget to have fun, isn't that the whole point?